The first year I nursed my daughter, Baby E., I could not eat any dairy or soy or else my normally sweet and smiley baby would scream all night long in terrible pain. Some people said it was just colic and that "babies just cry." But I knew that there was a correlation between what I ate and how my baby felt. During this time I especially turned to natural and organic products to make sure that what I was eating was safe for my baby. Even with this change, it was still incredibly difficult to find breads without soy in them. To this day* I am elated when I discover food products with short all-natural ingredient lists--especially those that include no soy! That is just one of the reasons why I am so pleased with the Manna Organics Breads that I received: they are organic, natural breads, with no scary extra ingredients like soy. In fact, Manna Organics' Sprouted Manna Bread is so basic in its ingredients! I was amazed that such a delicious bread could be made from just sprouted organic wheat kernels, filtered water, organic carrots, & organic raisins. In discussing their bread with me, Manna Organics described the Manna Bread as "not really bread. It can be best described as a meal of whole sprouted grains, moist and denser than bread. Muffin- or cake-like in consistency. Baked at low temperatures for a short time – almost raw." Can I tell you how intrigued I was by this description!? Nearly raw bread, made without yeast and with only 4 ingredients! The Manna Bread tasted great! It was so sweet and really was like eating a zucchini bread in consistency. I tried it out with my sister-in-law and we both ate many slices over the weekend that we were together! She enjoyed it with butter and spreadable cheese, while I liked it alone or with butter. This Manna Bread was delicious straight from the fridge or toasted. I liked it best raw. 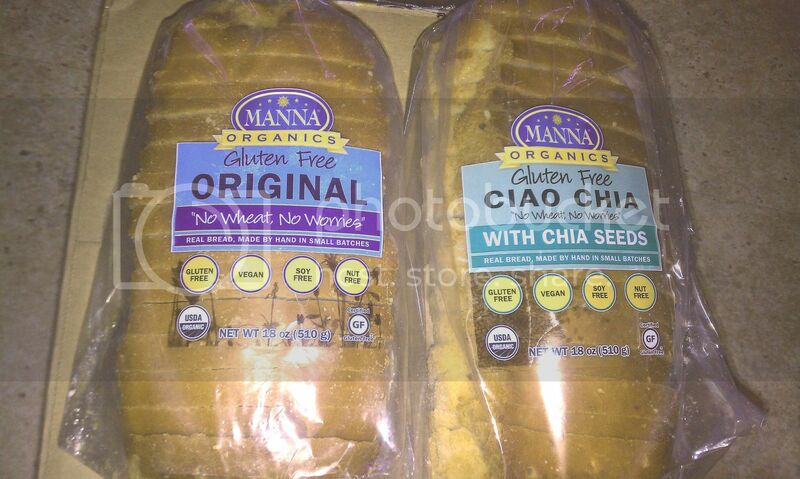 The two gluten-free breads that I received were the Original and the Ciao Chia varieties, pictured here. These gluten-free breads are also completely vegan and come sliced. Don't they look amazing? One of my closest neighbor couples has recently discovered that the husband has Celiac Disease and therefore cannot eat gluten without damaging himself and making him feel very sick. He is currently getting used to a gluten-free lifestyle and is trying out all of the gluten-free breads and products out there. I gave him the two loaves of gluten-free bread to test, because he would be able to better compare them to the competition than I, not to mention the fact that I can eat gluten and he should not. He was very pleased with the breads and said that they were wonderful to have--and that he ate all of them. 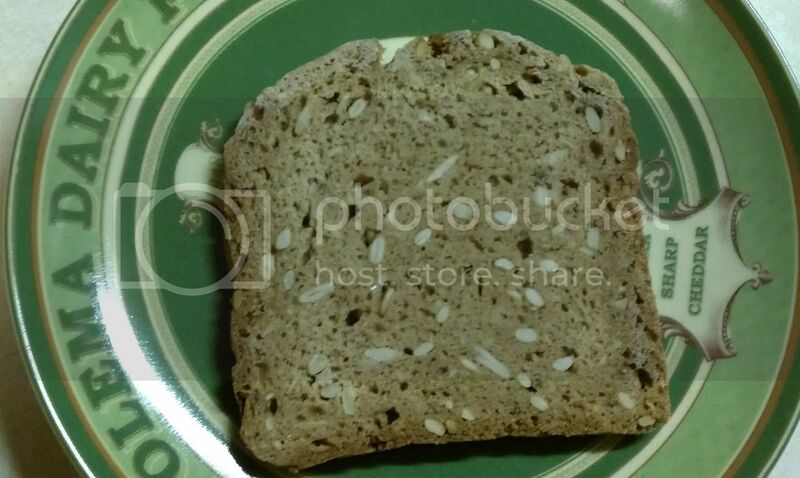 He commented that the bread was nice and dense and that it didn't crumble. His favorite way to eat the bread was toasted, and that toasting the bread made it taste no different than "regular" bread! That is very impressive in my book! 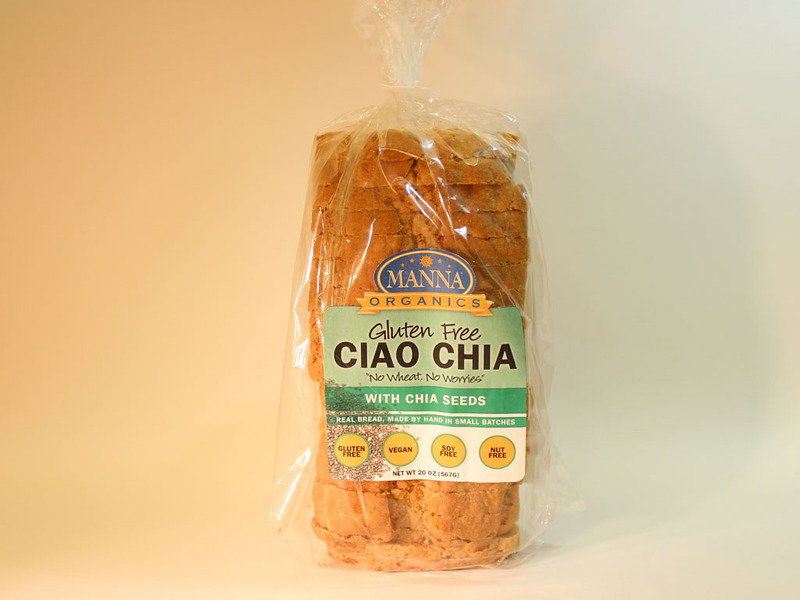 It's wonderful that Manna Organics has taken the time to make a gluten-free bread that tastes great! Finally, I want to tell you about the Bavarian Style Sourdough Bread. Having lived in Germany (and studying German now), I could not resist the chance to try a Bavarian-style loaf! This bread really does have a European flavor to it, along with more density and "bite" than soft and squishy American breads. My mom and I both tried some and it really reminded us of the heartier German breads that we love. We enjoyed this bread alone, with jam, toasted with cream cheese, and in a peanut-butter and raisin sandwich. (In fact, I'm actually eating a piece right now!) The flavor is sourdough with a great dense, sightly crumbly, bite. My favorite way to eat this bread was toasted with the savory cream cheese. Delicious! Overall I am very pleased with the quality and taste of the Manna Organics breads. 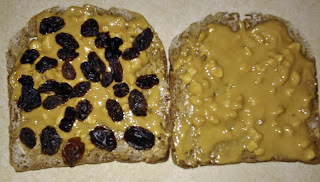 If I had to choose a favorite, I would say that the Carrot-Raisin Manna Bread, although very different from stereotypical bread, was my favorite because of it's sweet flavor and it's dense cake-like texture. I really applaud Manna Organics for their use of quality ingredients and for making sure their breads are natural, organic, and vegan. 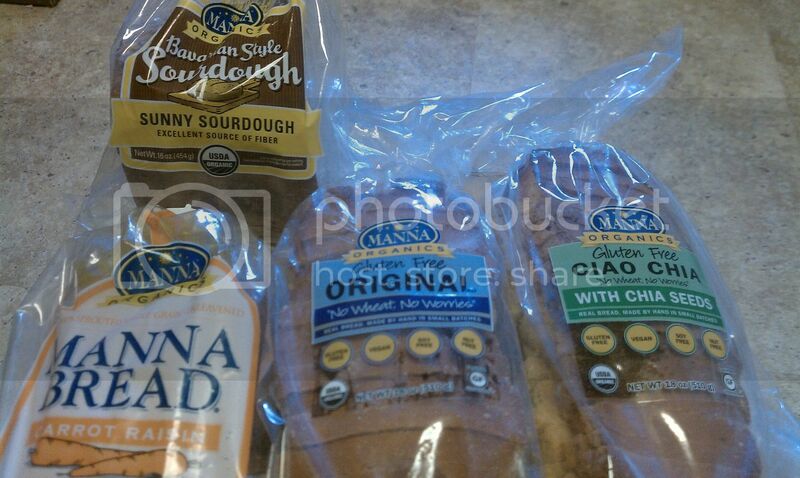 I hope you enjoyed my Manna Organics Review of Natural, Organic, and Gluten-Free Breads! Please follow @MannaOrganics and visit Manna Organics on Facebook! Please also check out my Manna Organics Bread Giveaway going on now for one box of your choice of 4 loaves of bread from Manna Organics! * Just a note here--I do like soy, just only in things where soy is being soy--like tofu, edamame, miso soup, etc.